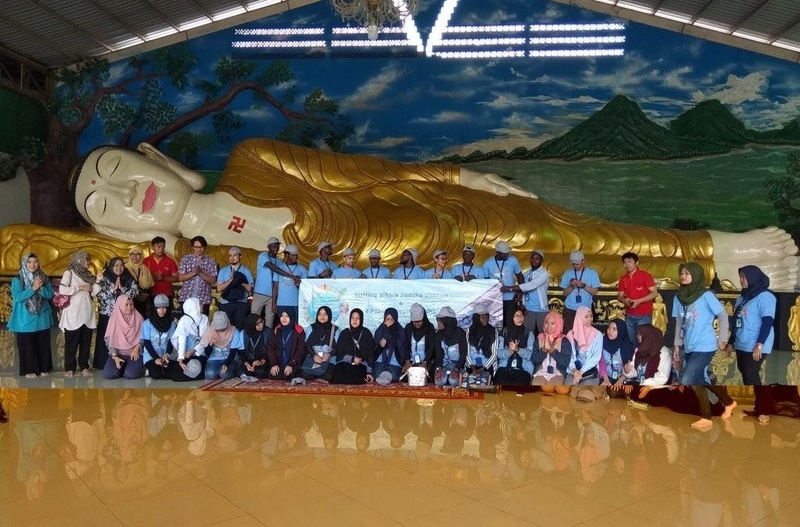 Ciawi, UIN NEWS Online – A total of 29 participants of the International Youth Leadership Camp 2018 (IYLC), consisting of 10 local students and 19 foreign students from several countries visiting Buddhist monasteries in Tonjong Village, Tajurhalang District, Bogor Regency, West Java, Friday (2/2/2018). 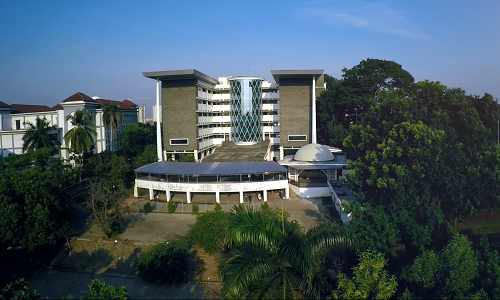 The UIN Jakarta student participants were from Afghanistan, Thailand, Canada and Gambia. 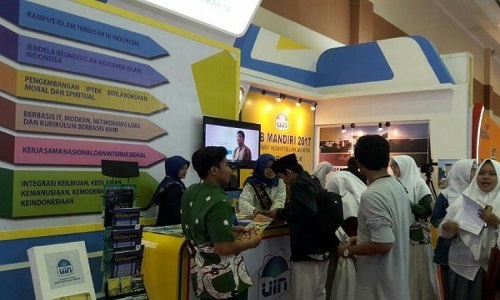 The visitaton is the first agenda of IYLC 2018 organized by the Social Trust Fund (STF) UIN Jakarta in cooperation with PPIM UIN Jakarta and United Nations Development Program (UNDP) in Ciawi, Bogor , on 2-5 February 2018. Participants’ visits were greeted by the monastery, Andrean. In his speech, he stated that this place of worship has often been used as a religious and cultural tourism destination by various communities, including students. According to Andrean, the monastery is not only used as a Buddhists worship place, but also served as a place to hold other religious holidays such as Isra Mi’raj for Muslims and Christmas for Christians. “Not only Buddhists, other religions such as Islam and Catholics often come here (monastery, Red) to visit and add insight to the monastery,” he said. Andrean also explains why the Buddha statue is made in a sleeping position with his head tilted to the right. According to him, the Buddha statue, which is none other than Siddharta Gautama (the founder of Buddhism) is died in an oblique position. “So, in his honor, we made the Buddha statue in a sleeping position,” he said. Vihara in Tonjong Village was built since 2012. The temple became a symbol of religious harmony around the temple complex. It is said, according to Andrean, Muslims and Buddhists there each other has a sense of high tolerance, so as to create harmonious harmony and mutual respect. Therefore, the monastery has until now become a kind of symbol of inter-religious harmony in Indonesia. Meanwhile, IYLC 2018 Program Secretary, Emi Scientific, said the participants deliberately invited to Buddhist worship place. The goal, in addition to adding insight is also expected to grow a sense of high tolerance among religious believers.